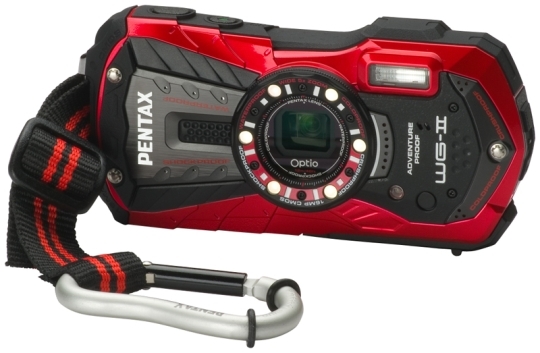 The Pentax Optio WG-2 is as tough of a camera as you will find. Sporting a slew of useful features and shooting modes, such as underwater modes and a 16-Megapixel CMOS imaging sensor, you will find everything you are looking for. The only drawback is noise in your images. Read more in our Full Conclusion. 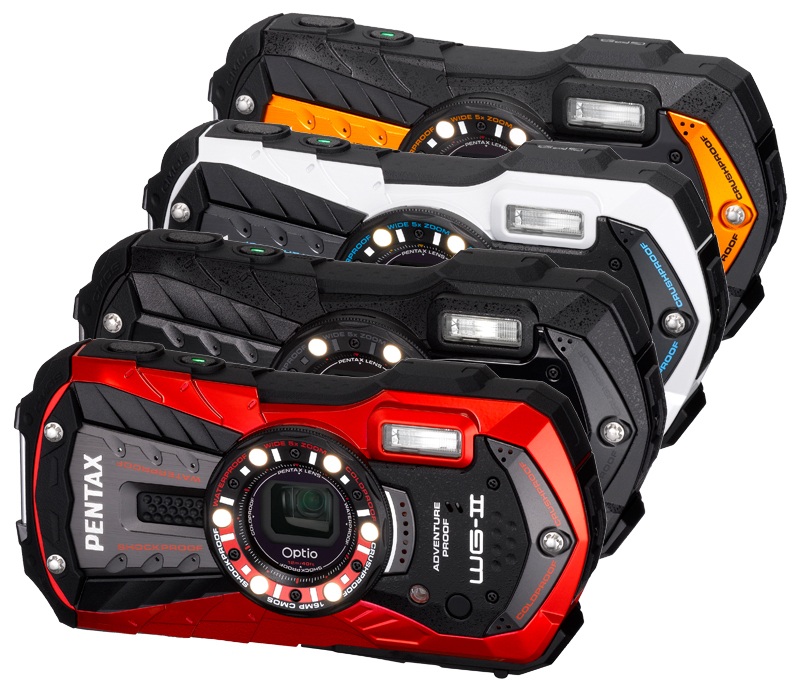 For the first half of 2012, PENTAX has announced its new "lifeproof" cameras, the Optio WG-2 and WG-2 GPS. These models replace last year's well-reviewed WG-1. As one might guess, the WG-2 and WG-2 GPS are pretty much the same camera, save for one of them having an all new GPS module PENTAX says will "deliver a shorter time lag before GPS start-up and longer life during GPS activation." I'll leave it to you, dear reader, to guess which model here includes GPS (wink). Both WG-2 models might not seem like vast improvements over the WG-1 series, but if you look under the hood, you'll see the new cameras have a back-illuminated CMOS image sensor (an upgrade over last year's CCD) with a 16 megapixel resolution. That translates to faster performance overall, noise-free image capture in lower lighting conditions, and the ability to record full HD 1080p movies (which you can watch on your HDTV thanks to the built-in Micro HDMI port). Other nice features include a large 3.0-inch LCD screen and a 5x internal optical zoom lens with a 35mm equivalency of 28-140mm. New for this year is a an extra front LED light, bringing the total to six. This enables a Digital Microscope Mode to focus on and illuminate objects as close as 1 cm. And what's a "lifeproof" camera without its battle specifications? Much like last years models, the WG-2 and WG-2 GPS are both rated to waterproof depths of 40 feet, shockproof up to 5 foot drops, crushproof up to the 220 LBF, and coldproof down to 14 degrees F (minus 10 degrees C). PENTAX has also included a host of features to help the CMOS image sensor perform to the best of its abilities in any lighting conditions. Consider Pixel Track, Digital, and Movie Shake Reduction to ensure blur-free still images and video. There's also Fast Face Detection, which includes Smile Capture and Blink Detection, to help you make friends and family look their best. The Autofocus assist lamp is also brighter, which helps the camera achieve accurate focus. Lastly, Handheld Night Snap mode helps shutterbugs get that great shot indoors and after the sun drops below the horizon. The PENTAX Optio WG-2 and WG-2 GPS is available now. The WG-2, available in black or vermilion red, has a MSRP of $299.95, and the WG-2 GPS, available in shiny orange or gloss white, offers a MSRP of $349.95. The optional SportMount Chest Harness will retail for around $49.95. Check our buy box below for the most current online pricing.